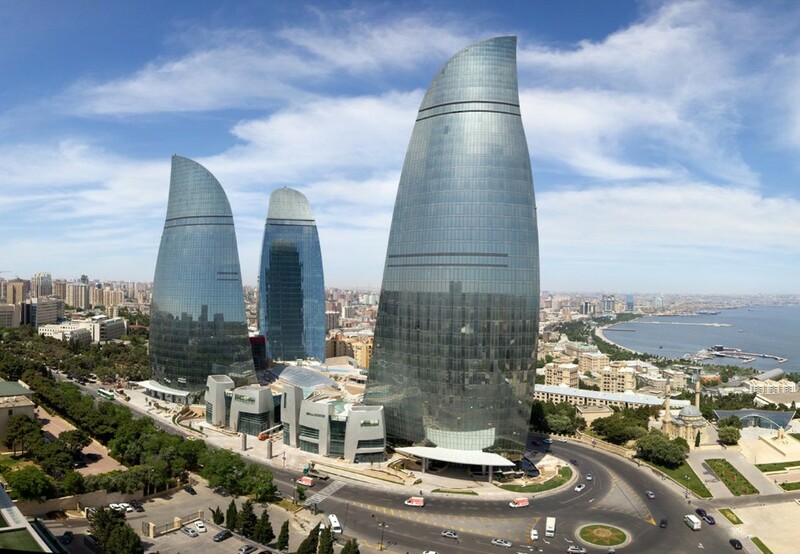 Flame Towers is a trio of skyscrapers in Baku, Azerbaijan, including the tallest in the country, with a height of 182 m (597 ft). (There are some taller towers in Baku, but they do not have rooms inside all the way up, so are not considered skyscrapers.) The buildings consist of apartments, a hotel and office blocks. 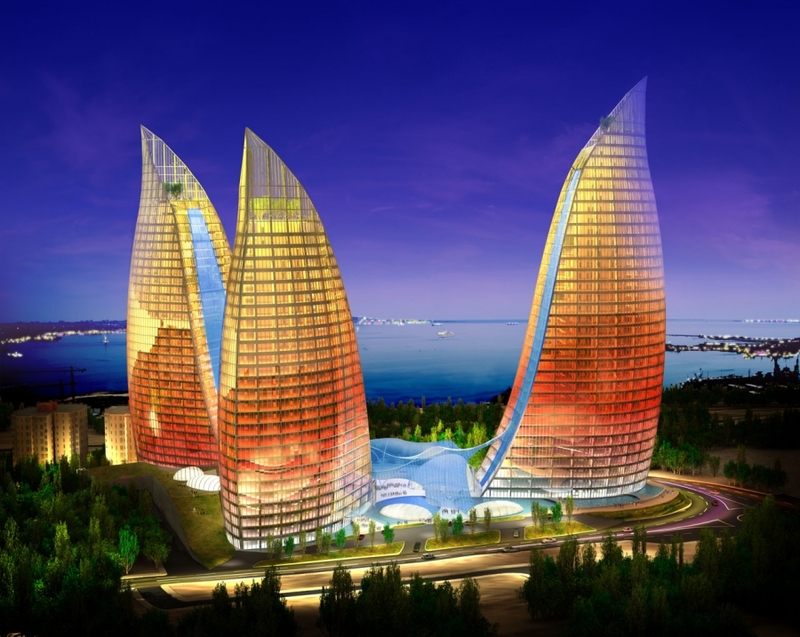 The cost of Flame Towers was an estimated US$350 million. Construction began in 2007, with completion in 2012. HOK was the architect for the project, DIA Holdings served as the design-build contractor, and Hill International provided project management. The Flame Towers consist of three buildings: South, East and West. The facades of the three Flame Towers function as large display screens with the use of more than 10,000 high-power LED luminaires, supplied by the Osram subsidiary Traxon Technologies and Vetas Electric Lighting. On June 2014 Lamborghini opened its first branch in Azerbaijan, located on the ground floor of the East tower of the Flame Towers.